The winners of the SongDoor 2015 International Songwriting Competition have been announced: the Grand Award has gone to Juliette Reilly of Berkeley Heights, New Jersey for her song, “Hero,” which also won the Pop category. NASHVILLE, Tenn. - Jan. 22, 2016 - PRLog -- The winners of the SongDoor 2015 International Songwriting Competition have been announced: the Grand Award has gone to Juliette Reilly of Berkeley Heights, New Jersey for her song, “Hero,” which also won the Pop category. Entries were received from 24 countries on four continents. All of the winning songs can be heard at http://songdoor.com. "It truly means the world to me that my song 'Hero' won this year and I feel incredibly honored to be awarded all the opportunities that go with it," says Juliette Reilly, a 21-year-old college student from New Jersey. “’Hero' is about empowering others in the face of bullies and discouragement, and is a message I hold very close to my heart. So the fact that this will help get the word out there about self-love also makes me so happy. Over the next year as I graduate college, I hope to complete the production and distribution of my first official EP, continue making music for the fans on YouTube for whom 'Hero' was written, and strengthen my craft as both a songwriter and performer. Thank you so much, SongDoor!" “Our judges all commented on the powerful message in this song," says SongDoor president Tony Zotta. “It’s emotional but musically so accessible. Juliette is a very talented woman who is clearly on her way." This year's "Staff Favorite" was Australian singer-songwriter Jade Alice, whose pop jewels include “Beau,” “Something Special” and “Emerald Eyes,” all finalists in the Pop category. The competition was generously sponsored by SongU.com, Broadjam, 16 Ton Studios, MasterWriter and Hard Twist Music/BMI. Not just the winners won -- every songwriter who entered this year's competition receives a free 45-day all-access trial to SongU.com, a free Broadjam membership as well as free song-editing software to help them improve their skills, a package worth $220. As winner of this year's Grand Award, Juliette wins a single-song publishing contract, a one-year Platinum membership to SongU.com, a full-band demo recorded and engineer by Grammy®-winner Steve Avedis cut at the famous Colorado Sound studio in Denver, Masterwriter software, a Broadjam membership and a host of other prizes valued at more than $7,900. For more about this year's SongDoor winners, visit http://www.songdoor.com. 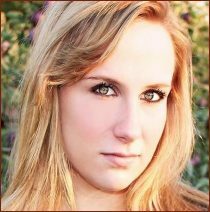 To hear more of Juliette Reilly’s music, visit http://juliettereilly.com. SongDoor 2016 is open for submissions on April 15, 2016. The entry fee remains at $10 per song. For more information, visit http://songdoor.com. SongDoor, founded in 2006, is an annual event designed by songwriters, for songwriters. The competition is open to amateur and professional songwriters worldwide. Judges include seasoned music industry producers, artists and engineers who have worked with/for such artists as Britney Spears, 'NSYNC, Neil Young, Lynrd Skynrd, Jimmy Buffett, Garth Brooks, Keith Urban and many, many others. The awards purse is valued at $20,000. All entrants receive approximately $220 in free songwriting tools, regardless of whether or not they win any of the official awards.